Relays are a fun way to explore new areas, bond with teammates and make memories that last a lifetime. Every year I claim I’m too old to do another overnight relay, so I’m super excited to see more single day relays popping up. 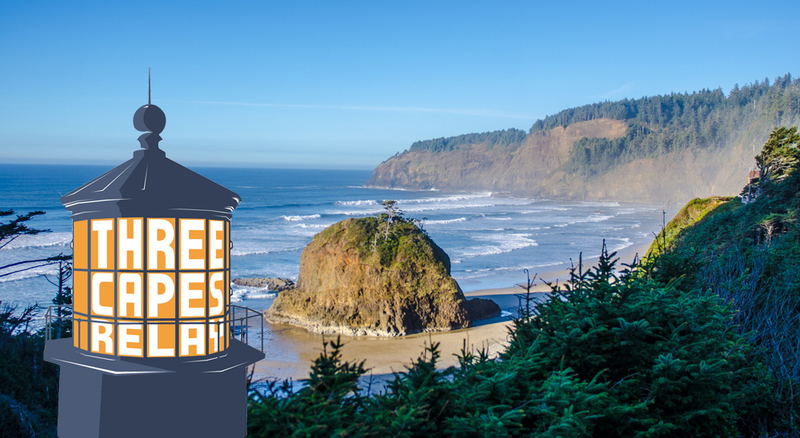 My latest find is the Three Capes Marathon Relay coming March 1st to the Oregon Coast. The run begins at Cape Meares Lake, near Tillamook, and will finish at Webb Park Campground in Pacific City. Race Director, Patrick Zweifel, has been thinking about this relay for 10 years. He hosts the Ultimook Running Camp and organizes the Tillamook Distance Project, check out the event website and his passion will be evident. With leg descriptions and tons of pictures of every leg, the website makes it hard to NOT get excited to give this course a run. After the cost of port-a-potties and permits are covered, all proceeds will go to the Tillamook High School Cross Country Team. I would much prefer to run a relay, than buy more cookie dough. I hope to see schools follow this example and think outside the box with fundraising. This year they are trying to raise money for a Spring Break trip to the Grand Canyon and some strength building equipment. This is a perfect relay for anyone curious to see what relays are all about, without a serious time investment. With 5 legs, ranging in difficulty from easy to extremely difficult, you can match the leg with the appropriate runner . It’s also a perfect relay for a two person team or an individual. People looking for an added challenge can run it solo or with a Bestie. This course starts and finishes at sea level and includes 2400 feet of climbing in between. It runs through or next to six states parks, two national wildlife refuges, county parks, Tillamook Bay, Netarts Bay and, of course, there will be the majestic Pacific Ocean. Register a team of five ($150), two($85) or run it solo, as a marathon($65). Performance tee shirts are included with the registration cost, but fancy bib chip timing is not. What it lacks in technology, I think it will make up with the views. Every leg of this course looks like a postcard. 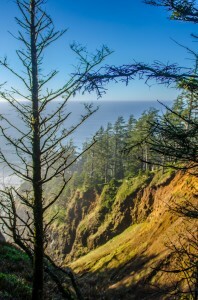 I can’t wait to see the views, including Cape Meares, Cape Lookout and everything into Pacific City. I’m hoping for sunshine, but know sometimes the best memories are with less than ideal running conditions. Rain or shine, I’m super excited to be in on the first year of this, and can’t wait to watch it grow. Even more exciting, I’ll be joined by my teenager, my favorite running buddy and her daughter, a fun family relay for this team. Just over a month to work out the details, including a team name. I’m taking suggestions. We need a G rated name that won’t embarrass a couple of teenagers, if that’s possible.